Sometimes the best play prompts are the natural ones in your backyard! 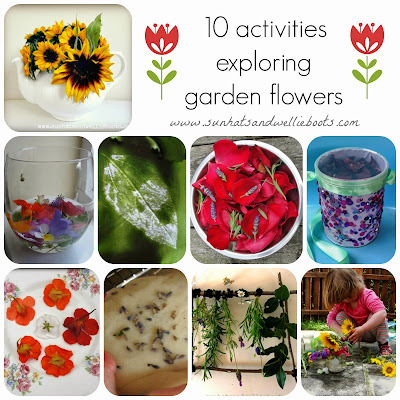 Here are 10 simple activities which offer opportunities to explore natural flowers, & encourage discovery, learning & creativity. Minnie first explored this set up when she was two years old. 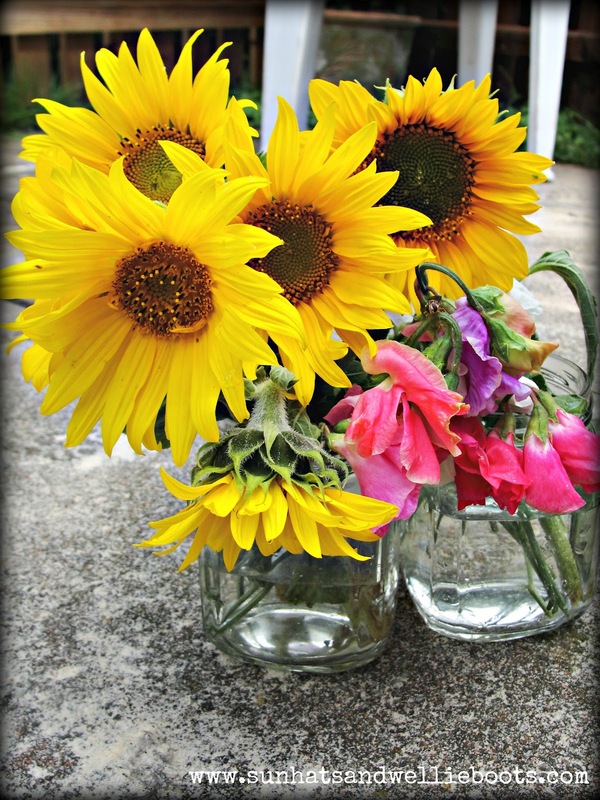 I set out 4 jam jars, 1 large jug of water, & a few mini sunflowers & sweet peas from our garden for her to discover. She independently arranged & rearranged the flowers, poured the water from container to container, & was completely absorbed in this activity. She was able to predict & adapt as she positioned the flowers & transferred the water, & able to explore size, shape, colour & scent. 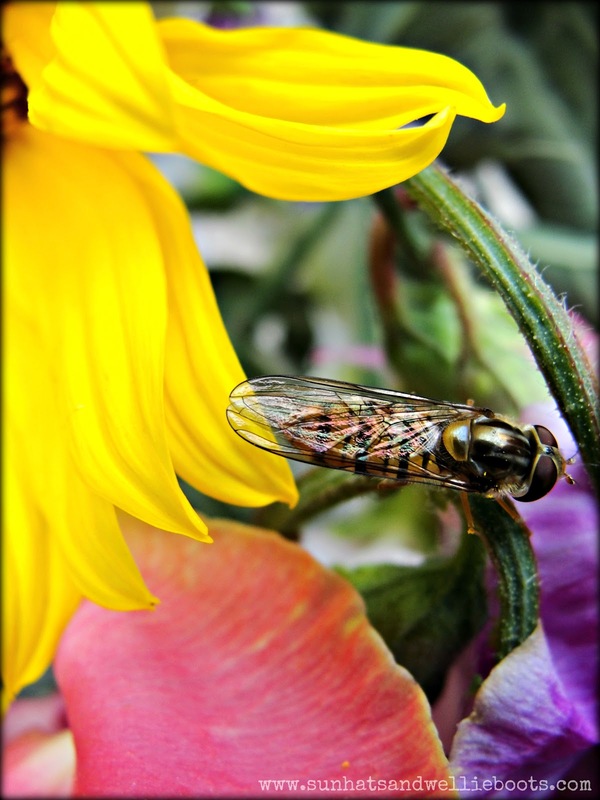 How many bugs / minibeasts can be found hiding around the flowers in your garden? Which plants do they prefer? 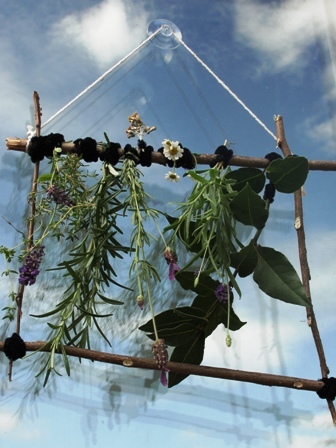 Which minibeasts are in the flowers, & why do you think they're there? How about using our bug spotter sticks to mark where you found them. 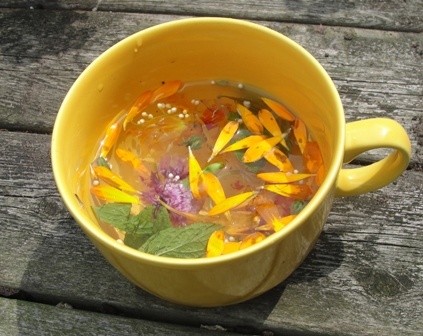 Add a few flowers from your garden to a tea set & you have your own garden tea rooms/kitchen, ideal for concocting recipes with natural ingredients. 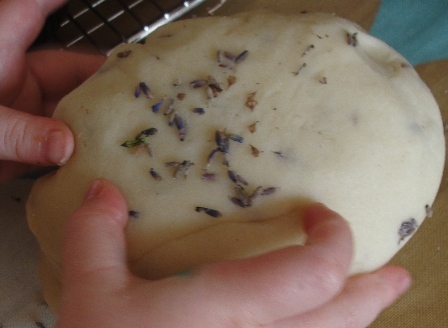 We added lavender to a batch of homemade play dough, but you could use any flowers. 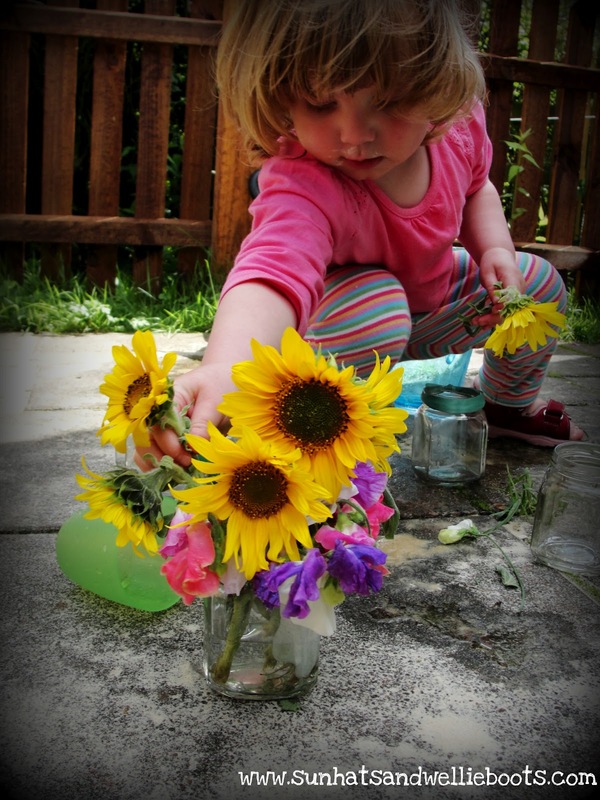 Check out Nurturestore's beautiful garden play dough. 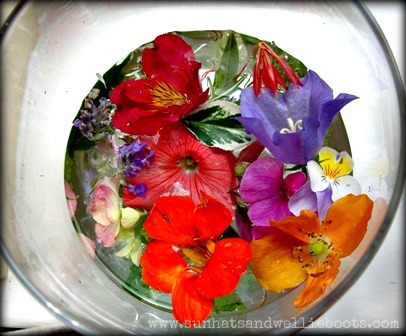 Collect flower heads & add them to vase of water. 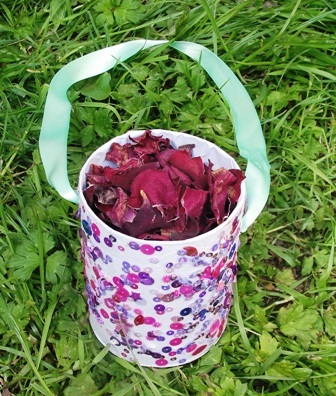 A perfect activity for toddlers who sometimes forget to pick flower stems, & a great way to use wind beaten flowers. 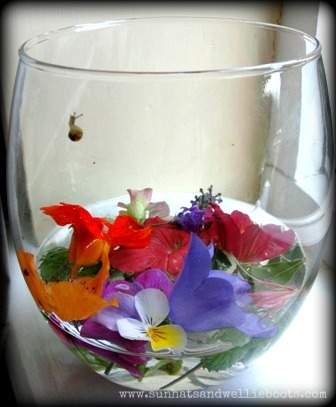 This alternative flower display may also attract some wildlife too, like our mini snail! 6. Grow your own flower salad. 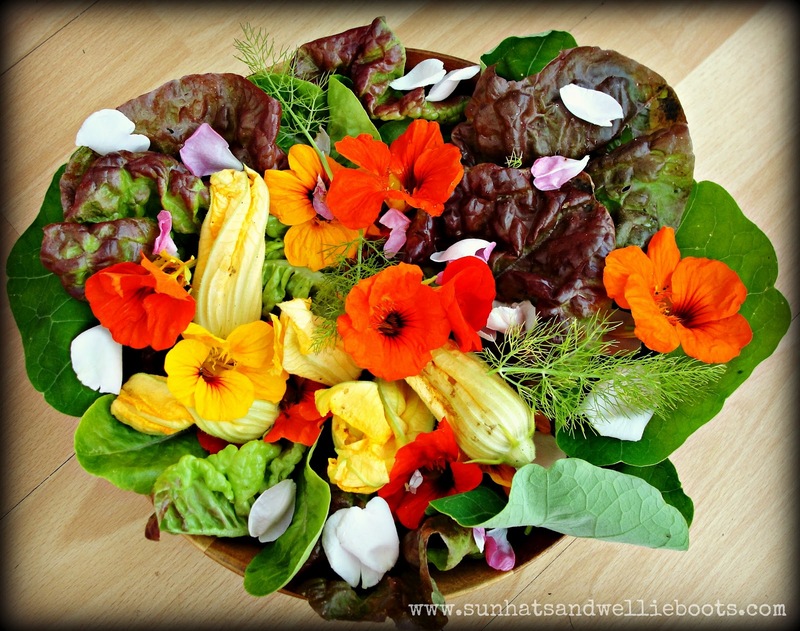 A number of garden flowers can be added to salads to create a tasty colourful dish. 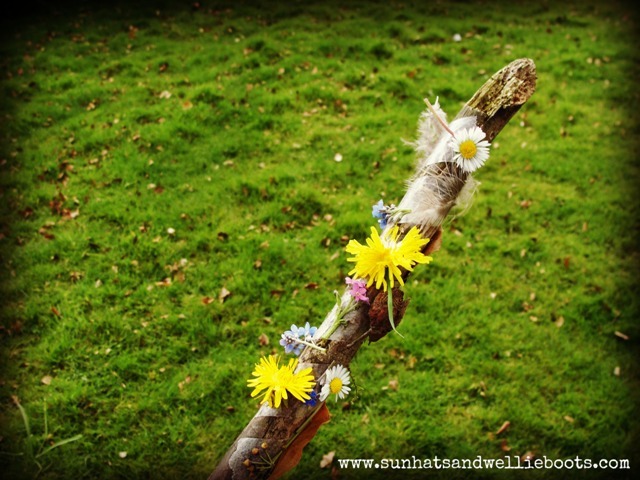 Collect favourite flowers, leaves & nature finds & make your own nature wand. 8. 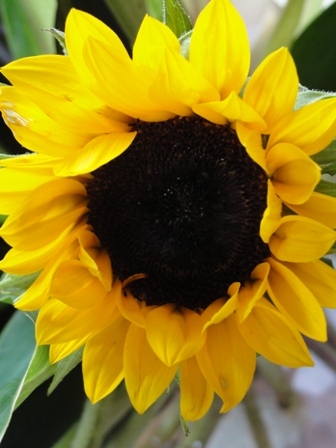 Create your own natural dye from Sunflowers. These activities not only encourage much play & learning, but offer an opportunity to explore nature both indoors & outside, so whatever the weather you can enjoy exploring fresh flowers from you garden.